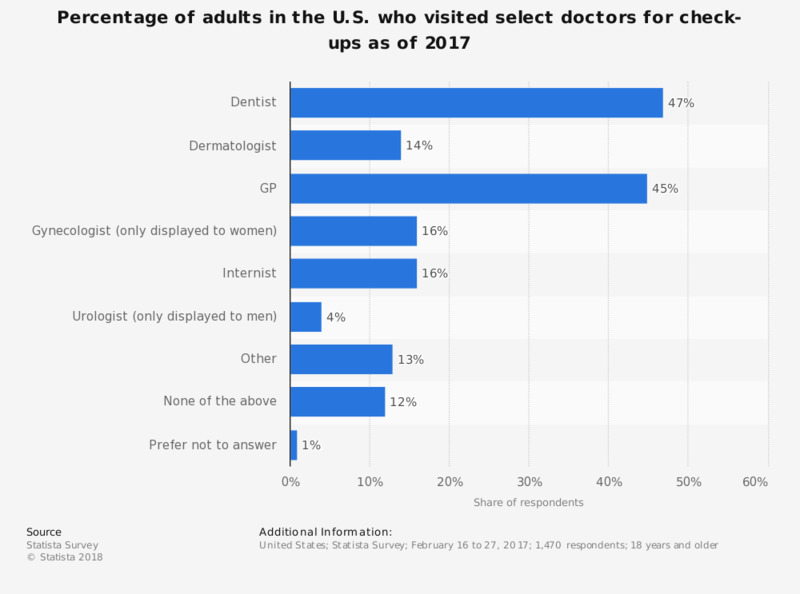 This statistic shows the percentage of adults in the U.S. who visited select doctors for check-ups as of February 2017. It was found that 47 percent of respondents go to the dentist for check-ups while 45 percent go to a general practitioner. Original question: Which doctor(s) do you go to for check-ups? Would you recommend or apply a treatment to keep a patient alive, even if you think the outcome is fatal?